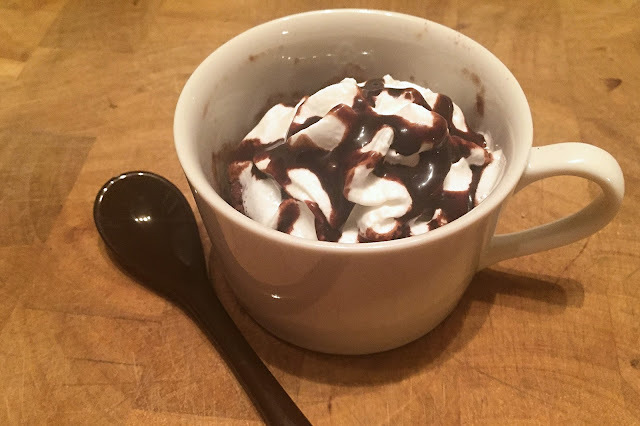 That looks soooo good - I keep cookie dough in my fridge to microwave in a mug every once in a while for a treat :) Why do you advise against a clear mug? Oh my goshhh this looks so good. I'm saving this!! 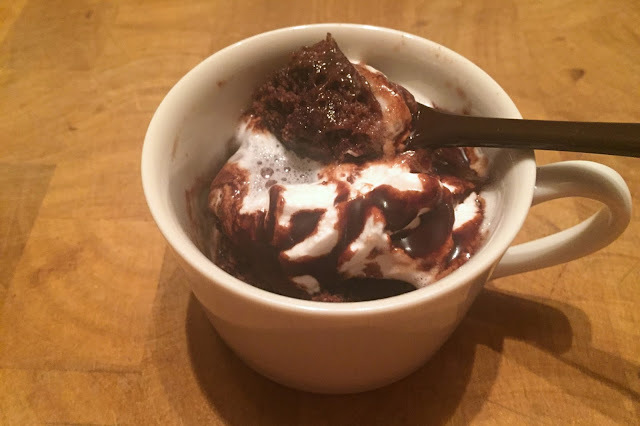 I just made this and it is SO delicious! 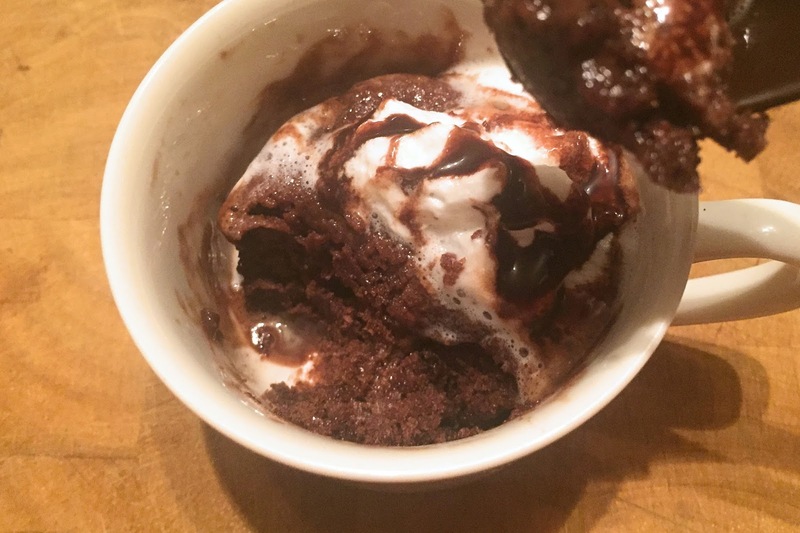 I used chocolate cake mix, put some chocolate chips on top and added vanilla ice cream!